4-H in Orange County, VA: Cooking For Teens and College Students!!!!!! 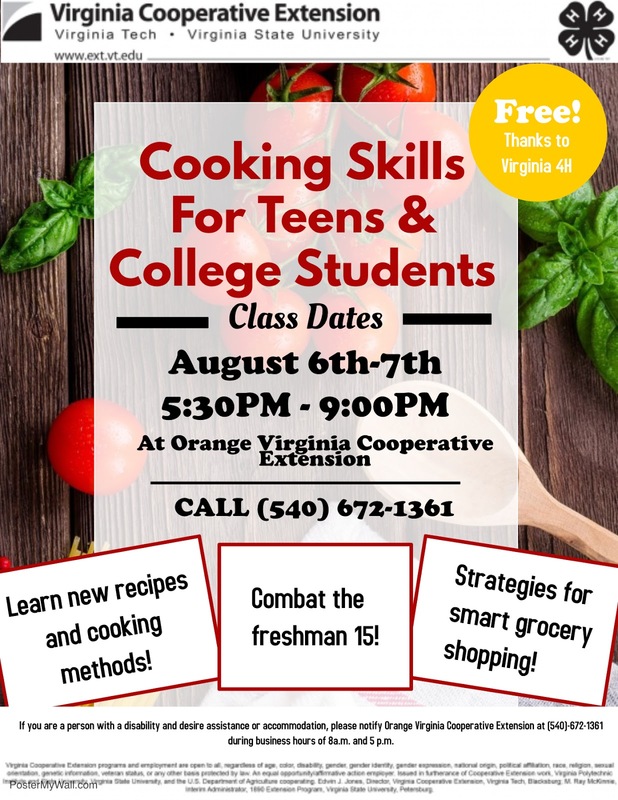 Cooking For Teens and College Students!!!!!! Come hang with us and learn some tips on how to survive as a young adult!!! Whether your a teen needing an adulting lesson or a new college student wanting to combat the freshman 15, this workshop is for you! Learn how to budget your groceries and try new fun recipes!